Talking about popular narrative in terms of genre would seem to be one of the most natural things in the world. University textbooks, for instance, regularly describe popular fiction as “genre fiction” and go on to introduce it through a series of chapters devoted to different genres. Book and film reviews usually establish from the outset that the film or book in question is a Western, say, or a science fiction story. Video stores distribute the multitude of video cassettes and DVDs onto different shelves, each labelled according to the law of genre: horror, action, suspense, romance, comedy and so on. And when it comes to talking amongst friends about popular television programs, it is not at all unusual for someone to declare a preference for sitcoms over soap operas or to express an increasing impatience with the amount of reality shows on television today. So the practice of classifying texts by genre is one with which most readers of popular fiction and film are entirely comfortable – even if the term ‘genre’ is an unfamiliar one for some of those readers. But if that is the case, this ease is felt in spite of the fact that most readers feel also, and without contradiction, entirely uncomfortable with genre designations. As soon as the notion of genre is recalled in discussions of popular texts, that is, it is just as likely to be challenged or recognised as being inadequate to the task. And so those same university textbooks which introduce the different genres of popular fiction will announce almost from the outset that “of course” the boundaries of genres aren’t set in stone and that it is difficult to find any agreement on the particular characteristics of detective fiction, for example, which could then serve as the basis for determining which texts belong to that genre and which do not (see for instance McCracken 1998, p.12). 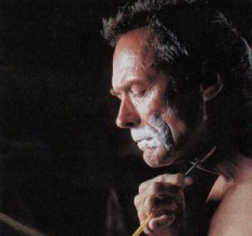 Likewise, film reviewers can argue that, despite having all the appearances of a Western, Unforgiven (Clint Eastwood, 1992) is more an ‘anti-Western,’ on account of its alleged inversion of the themes and character functions conventionally associated with that genre (1). And those people who have been to more than one video store in their lives could probably testify – as they search the comedy shelves for what they were certain was a drama – to the contested if not arbitrary nature of genre classifications. So it seems that genre is not quite the natural or certain idea that it might sometimes be taken for, since not only is the identity of any specific genre always in dispute, but the very idea of genre is also accorded an ambivalent status. We hold a certain faith, on the one hand, that there are genres and that the concept of genre may serve as the basis for analysing popular films (whether such analysis be professional or conversational). But we recognise, on the other hand, that specific genres are always provisional and open to contention over their make-up – that genres are, essentially, unidentifiable. 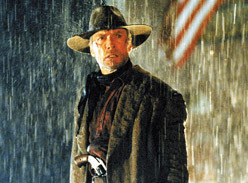 Taking the ambiguous generic status of Unforgiven as an example, it would seem that genre is a very strange notion indeed, for contrary to the conventions of the Western, the ‘hero’ of Unforgiven, William Munny (Clint Eastwood), is a ruthless, murdering outlaw; the ‘law’ as represented by Big Whiskey’s sheriff, “Little Bill” Daggett (Gene Hackman), is brutal, arbitrary and unaccountable; the imagined ‘honour’ of the gunfight is reduced to the cruel and cowardly act of assassination; and the end of the film sees no triumph of civilisation over lawlessness, but only the renewed threat of bloodshed and violence. Yet the fact that the film thus appears to invert every thematic convention of the Western does not prevent it from being regularly classed as an instance – even as the apotheosis (“a Western to end all Westerns”) – of that genre nevertheless. What sort of a category is a genre, though, if it can include its very antithesis? The way to answering that question, and hence the path to exploring the generic status of popular fiction and film, might take us through the history and uses of the idea ‘genre’ (meaning ‘kind’ in French) within the academic discipline of literary studies. For the strategy of analysing literature in terms of its different kinds has a long history, going back at least as far as about 330 BC when Aristotle proposed to speak not only of poetry “in general but also of its species and their respective characteristics” (1940, p.3). For Aristotle, and for a great deal of criticism since, one of the first tasks in analysing poetry is to identify what kind (or species) of poetry one is dealing with: dramatic, lyric or epic. More recently, during the early- to mid-twentieth century, the notion of genre was subject to increased debate and theorisation, first in Europe and subsequently in the US. Throughout this period of reflection on genre, the focus was generally, following Aristotle, on distinguishing between broad forms of rhetorical presentation, such as drama and poetry, but this time paying much greater attention to clarifying the characteristics of what had become the most pervasive species of literature: prose fiction. This period was characterised, too, by increased discussion of the different literary patterns or moods, such as comedy, tragedy, satire and romance, which were supposed to arise from varying ways in which characters move within either a world of frustrated experience (irony or satire) or a world of idealistic innocence (romance), or in which characters move from one of those worlds or states to the other (comedy and tragedy). Even with regard to this form of classification, however, the generic categories had for the most part been well-established since the time of Aristotle (2). So the idea and the practice of analysing literature according to its genres have been around for quite a while, and this apparent perpetuity may go a reasonable way toward explaining why we might take for granted such an idea and such a practice. With regard to today’s popular narrative, however, there seems to have been a slight shift in our use of the idea of genre. For in the first place we mostly understand popular genres to constitute slightly more specific categories of ‘literature,’ each defined varyingly according to thematic concerns, plot structures, character functions and stereotypical images. Popular genres thus seem to be named by a set of textual features that can transcend traditional literary criticism’s generic boundaries. The same set of themes, plots and images, that is, can easily appear across different forms of rhetorical presentation and operate according to a variety of literary moods. And so the category of the Western can be used to designate a set including both written texts (such as the books of Louis L’Amour) and cinematic texts (including many of the films starring John Wayne). That same set can contain stories that are apparently comic (Silverado, Lawrence Kasdan, 1985), tragic (The Shootist, Don Siegel, 1976), romantic (The Searchers, John Ford, 1956), or ironic (High Plains Drifter, Clint Eastwood, 1973). So long as there’s a group of men (predominantly), sporting six-shooters, wearing ten-gallon hats and riding horses across nineteenth-century, North-American plains dotted with outlaws or ‘Indians,’ in other words, we feel fairly comfortable with the idea that we’re visiting the world of the Western. To the extent that popular genres appear to be established on the basis of their similar plot structures, their use of stereotypical images and so forth, it is not at all unusual, in fact, to speak of popular fiction not simply as genre fiction but moreover as formula fiction. Certainly, a great deal of academic criticism of popular fiction and film has employed the terms ‘genre’ and ‘formula’ almost interchangeably. Brian Attebery’s Strategies of Fantasy, for instance, begins its account of new directions in fantasy writing (and in fantasy criticism) by inviting the reader to consider two very different definitions of fantasy. The first of these definitions is instantly recognisable: “fantasy is a form of popular escapist literature that combines stock characters and devices – wizards, dragons, magic swords, and the like – into a predictable plot in which the perennially understaffed forces of good triumph over a monolithic evil” (1992, p.1). This form of fantasy, Attebery states, is “fantasy-as-formula,” and as such it is “relatively easy to describe” and “its success depends on consistency and predictability” (1992, p.2). While Attebery limits his discussion primarily to fantasy literature, it wouldn’t be hard to identify any number of cinematic texts – The Beastmaster (Don Coscarelli, 1982), Krull (Peter Yates, 1983), Deathstalker (John Watson, 1984), Dungeons and Dragons (Courtney Solomon, 2000) – which apparently conform to the definition of “fantasy-as-formula.” But for Attebery this definition of fantasy is incapable of recognising the fantastic nature of such works of literature as Alice in Wonderland, A Midsummer Night’s Dream or even Paradise Lost – or such films as, say, Wizard of Oz (Victor Fleming et al, 1939), Mary Poppins (Robert Stevenson, 1964), or The Mummy (Karl Freund, 1932) – not to mention many contemporary works that recapture “the vitality and freedom of non-mimetic traditional forms such as epic, folktale, romance, and myth,” while exemplifying the potential of “a sophisticated mode of storytelling characterised by stylistic playfulness, self-reflexiveness, and a subversive treatment of established order of society and thought” (1992, p.1). While “many readers would never think of including Shakespeare or Dante under the heading of fantasy,” some of their works are indicative nevertheless of what Attebery calls “the fantastic mode”: a mode which takes in “all literary manifestations of the imagination’s ability to soar above the merely possible” (1992, p.2). The fact that some fantasists do remake the language [of fantasy] as they speak it, that they follow conventions but not slavishly, is my primary justification for looking for a middle ground between mode and formula. This middle ground is the genre of fantasy (1992, p.10). Interestingly, though, if Attebery proposes to focus on the middle ground between mode and formula in order to justify the study of fantasy fiction, his insistence on genre is also a matter of pragmatics: a way of focusing on fantasy texts that are worthy of analysis (according to him) without stretching the scope of fantasy beyond reason. For “it is difficult to say anything meaningful about either the mode, which is so vast, or the formula, which tends toward triviality” (1992, p.2). In this way, however, Attebery ultimately reaffirms formula as the defining characteristic of the genre of fantasy, despite his attempt to distinguish a concept of genre from a concept of formula. This is because the only means that Attebery finds for “meaningfully” identifying specifically fantasy texts out of the “vast” ocean of fiction and film that rather adopts a fantastic mode is to examine such texts in terms of the extent to which they adhere to the fantasy formula. Since the fantastic mode, which can be found in all “manifestations of the imagination’s ability to soar above the merely possible,” cannot be used as a means for identifying those texts that belong to the particular genre of fantasy, in other words, ‘formula’ remains the sole criteria for recognising a text as belonging to this genre rather than that. After all, William Munny’s fantastic feat (during the climactic scene of Unforgiven) in shooting down five armed men in a saloon without sustaining a single bullet wound to himself – and after his own gun misfires! – could easily strike one as a “manifestation of the imagination’s ability to soar above the merely possible.” Yet few people would class that film as belonging to the genre of fantasy, for the simple reason that there’s nary a wizard, dragon nor magical sword to be seen throughout the entire film. The concept of formula as I have defined it is a means of generalising the characteristics of large groups of individual works from certain combinations of cultural materials and archetypal story patterns. It is useful primarily as a means of making historical and cultural inferences about the collective fantasies shared by large groups of people and of identifying differences in these fantasies from one culture or period to another. When we turn from the cultural or historical use of the concept of formula to a consideration of the artistic limitations and possibilities of particular formulaic patterns, we are treating these formulas as a basis for aesthetic judgements of various sorts. In these cases, we might say that our generalised definition of a formula has become a conception of a genre (1976, p.7). This distinction between formula, as a basis for determining a popular text’s meaning or cultural significance (“collective fantasy”), and genre, as a means for assessing a popular text’s aesthetic worth, is one which mirrors a debate that has periodically arisen throughout the history of literary criticism and its use of genre as a critical concept. Basically, while many literary critics approach genre merely as a tool for describing literary works, for clarifying traditions and identifying literary relations, quite a few genre critics, including Aristotle and his many neo-Classical followers, have felt that generic categories represent literary ideals against which actual works of literature can be assessed according to how successfully they reproduce those ideals. For the latter group, to put it crudely, the more a work of literature conforms to the standards of a genre the more likely it will be judged as having succeeded in its literary aspirations. In the realm of popular fiction and film, then, the use of formula as a basis for making aesthetic judgements would seem to require evaluating popular texts in terms of the extent to which such a text either successfully reproduces the conventions of a popular formula or, more likely, “deviates from the flat standard of the genre to accomplish some unique individual expression or effect” (1976, p.7). Once again, however, the translation of the critical concept of genre from the discipline of traditional literary criticism into the study of popular film seems to involve a shift in the usage of that concept. Indeed, to the extent that the aesthetic worth of a work of literature – and hence its ability to act as a source of original insight or of profound observations about the human condition – is regularly seen as tied to that work’s degree of originality, this shift in usage is something more like a reversal. This is because, within the tradition of the literary classics, the generic constitution of a literary work is no impediment to its evaluation as aesthetically worthwhile. On the contrary, if a particular work is thought largely to achieve the potentials of the generic ideal – where genre refers to very broad categories such as ‘drama’ and ‘prose’ or ‘tragedy’ and ‘satire’ – this achievement is just as likely to be taken as a sign of the work’s significance, originality and acuity. In the case of popular film, though, the generic nature of a particular text is damning evidence – insofar as popular genres are recognised rather as popular formulas – of that text’s lack of aesthetic worth and its lack of artistic vision. In short, a literary work can conform to the conventions of a genre and still – indeed, therefore – be aesthetically significant, whereas a popular text’s putative reliance upon formula is a mark of (is in fact constitutive of) that text’s triviality and lack of originality (3). To underline Cawelti’s and Attebery’s respective complicity with a general conception of popular fiction as uninspiring, despite their individual affirmations of the worth of popular fiction and film as a valuable area of academic analysis, is to stress at the same time the historical predominance of the idea of the generic nature of popular narrative. In both cases, whether popular film is described as formulaic or as generic, the thing which is thought to define the generic or formulaic nature of a particular text is something that is understood as lying within the text: genre is determined on the basis of the textual features of a specific fictional work. Of course, this understanding of genre is so undeniable, so self-evident, that even to characterise it as ‘an’ understanding, as though there might be other, perfectly legitimate ways of understanding genre, is to risk the charge of absurdity. For no matter what specific features one might argue as forming the criteria for determining genre, it is perfectly obvious that such features must lie in the text: for if genre is not to be found in the text, then where else is it to be found? Still, Cawelti’s suggestion that the originality of a popular text, its “uniqueness” or “individuality” of “expression or effect,” can be measured in terms of “the way in which the individual work deviates from the flat standard of the genre” already implies a concept of genre that sees generic traits as located precisely elsewhere than in the text. For such an approach suggests that the individuality of a text is not something that simply belongs to that text, as though a text were, in and of itself, original or unique. Rather, the individuality of expression or effect is something that can be assessed in terms only of how the text deviates from those texts that are seen as exemplary of a genre. The text’s individuality, in other words, is relative insofar as it lies in the text’s purported difference from other texts. But if that’s the case, then it follows that the supposed similarities or identities that are understood to constitute a genre (or a formula) are also to be found only in the comparison of one text with other texts. In short, genre lies not within a text but between texts – in the apparent relations between texts – and a consequence of this is that both the general categories of genre and the specific judgements made on the basis of such categories are always relative and, in a certain sense, arbitrary. Specific judgements about generic identity must always be relative, since they can only be made in relation to a given set of texts, and they must be arbitrary to the extent that the set of texts referred to could never be exhaustive or complete. From this it follows that the general categories of genre must also be relative and arbitrary on account of the fact that such categories can only be determined by way of a specific judgement. It is not at all the case, therefore, that the popular 1960s television series Star Trek, say, simply is a science fiction program on account of the fact that it’s set in space (4) – after all a great number of the texts that we identify as science fiction are set on Earth. If we consider those latter texts to be examples of science fiction nevertheless, it might be because these texts appear to explore the social consequences of new technologies and the human costs of a world that is becoming increasingly technological. It is on the basis of this understanding of science fiction, for example, that the classic film Metropolis (Fritz Lang, 1926) – which depicts an almost totally mechanised world in which the working people have been reduced to a virtual servitude to the machinery and, further, now face the threat of being replaced by robots – is considered to be a prophetic ‘instance’ of science fiction film. 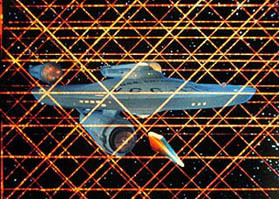 Thus, for all that Star Trek might appear to be science fictional through and through, its depiction as science fiction is dependent upon what amounts to a kind of implicit, and by no means exhaustive, comparative study of a number of texts that may or may not themselves be judged also as instances of science fiction. But this doesn’t mean that the idea of genre has no meaning or force, and it certainly doesn’t dispel the allure of genre as a means for analysing popular film. For ideas about popular narrative, such as the idea of genre, have been fairly well established over the course of at least a century (and probably much longer) within our critical disciplines and languages, as well as through popular or ‘unofficial’ channels. The notion of genre, moreover, is one that organises not only our critical reflections upon popular fiction and film (in reviews, for instance) but also our everyday practices of consuming or engaging with popular cultural texts. 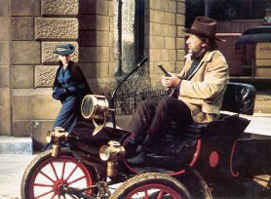 If you wanted to watch another show like Star Trek (or another film like Metropolis), in other words, you would probably be disappointed if someone directed you towards The Shootist, a film set in 1901 and starring John Wayne as a gunslinger who rides in from the Wild West in order to organise his affairs before his impending death from cancer, but ends up dying in a shoot-out in a saloon. And so the fact that, strictly speaking, genre designations are always relative and arbitrary doesn’t mean that texts aren’t readily and regularly identifiable as instances of a genre. Irrespective of whatever we might have said so far about the arbitrariness and, indeed, insubstantiality of genres, in other words, the fact remains that The Shootist is a Western and Star Trek is science fiction, and anyone who tries to tell you otherwise must be mad! But there’s the rub – because it is actually very easy to see Star Trek as “drawing upon” the conventions of the Western. Every episode of the original series, in fact, affirms Star Trek‘s affinity to the films and books of the Western genre through the statement over the opening credits of the line, “Space: the final frontier.” And where the ‘significance’ or meaning of the Western ‘formula’ is usually thought to lie in its exploration of the themes of “nature vs. civilisation, the code of the West, or law and order vs. outlawry” (Cawelti 1976, p.6), episodes of Star Trek invariably feature men (predominantly) “boldly going where no man has gone before,” establishing peace (“law and order”) by fighting those who resist Star Fleet’s mission to bring democracy (“civilisation”) to the far reaches of outer-space (in the face of the perils of “nature”), and by fighting especially the bloodthirsty Klingons (the “Indians”), all the while adhering to the masculinist, romantic code of the West, embodied in the heroic figure of Captain James T. Kirk (William Shatner). Put that way, it seems that about the only thing that does qualify Star Trek as science fiction is the fact that it’s set in space! More significantly, such an account of Star Trek perhaps opens contrasting questions about the processes and effects of civilisation (as the spread of democracy) to those which might be broached within the traditional limits of the Western genre. The spread of civilisation has to face up to a very different set of consequences and responsibilities, that is, when such civilisation is established not in the face of “the perils of nature” but in the name of “seeking out strange, new life-forms,” and when the “civilised” explorers are charged with the task of opening their community to difference and otherness in the form of the most unheard-of “peoples.” But in order to see Star Trek in those terms one would effectively (if only implicitly) have to place the show alongside a number of texts that were thought to constitute the Western genre and go on to stress their potential similarities as well as their potential differences. In other words, if Star Trek can be seen as a Western (or as a science fiction, for that matter), this is so by virtue of the fact that the show can be compared to one (arbitrary) set of texts as much as to another. In the opening few minutes of this film the John Wayne character, a metonym of dozens of other performances that semiotise his performance in this film, rides in from the cinematic West (America past, represented by the wide open landscape and the threat of death) into a glimpse of future America in the form of a becoming-technological town (electricity poles feature prominently at this point), a town and a future that must forget its past (2000, n.p.). The metonym of performances to which Lucy refers takes the form of a montage of clips from a number of John Wayne’s earlier Westerns. This series of images not only sets up the John Wayne character (in this film, John Bernard Books) as representing all the romantic figures of the West but also stresses the ‘becoming-technological’ of the film medium itself, insofar as the image quality during the series of clips gradually improves from the black and white of Wayne’s first films to the highest quality, colour images that the film technology of 1976 could produce. And for Lucy the fact that the film was made in the 1970s (a time of growing hostility between the US and the Soviet Union) allows us to read the film “as a kind of fable of our times with respect to its position on the alleged memory loss that technology brings about, a position taken up in the nuclear age” (Lucy 2000). Thus in the fictional world of the film the automobiles and the electricity poles indicate a technological present that “is disconnected from its past, except for the embarrassing reminder of the John Wayne character” who in turn represents the history that made the town possible – an authentic, human history of life-and-death struggle to build a better world, but a history which must be forgotten, and indeed killed off, for the town to embrace its technological future (Lucy 2000). Consequently, the discussion of Star Trek as a Western or of The Shootist as exploring typically science fictional themes does not challenge the idea of genre simply by stressing the relative hybridity of these texts, by demonstrating the inherent quality of some texts to confound categorisation by genre. Rather, if these texts can be interpreted in such unconventional ways, this is because hybridity is an essential feature of all cultural texts. While a text like The Shootist seems, manifestly, to owe its identity or its meaning to the conventions of the Western, in other words, that text nevertheless remains essentially open to being read in other ways, as an ‘instance’ of some other genre or question altogether. Cultural texts are fundamentally hybrid, therefore, such that they can be interpreted in terms of any number of contrasting genres, since generic issues (and this is the second point) are generated not only from relations between texts but also within specific acts of reading those texts: genre is also a mode of reading. After all, relations between texts can only be established in the event of reading those texts, irrespective of how intensive or comprehensive the reading may or may not be. If those readings don’t need to be intensive or comprehensive, moreover, this is because ideas about genre are culturally pervasive. One doesn’t need to have actually seen The Shootist in order to identify (that is, to ‘read’) it as a Western, in other words. All that is really required to recognise its status as a Western is for someone to say that it stars John Wayne and is about a cowboy. In fact, it would probably have been enough to say merely that it stars John Wayne. And this brings us to the third and, for me, most important point: if there’s nothing very difficult or technical about reading The Shootist as a Western or Star Trek as science fiction, if to read them in such a way is to do little more than the obvious, then what is the point in the academic study of popular fiction doing the same? It is often thought that the task of literary criticism, when it turns to the great works of literature, is to reveal the aesthetic significance of the text, the work’s insightful observations on some aspect of the world or ourselves. Put bluntly, the point of literary criticism, on this account, is to show that the significance of Shakespeare’s Hamlet, say, lies in its demonstration of the fatal consequences of procrastination. But this certainly isn’t all there is to say about Hamlet, which is one of the reasons why literary criticism is a never-ending task. Indeed, it might even be suggested that it is the literary critic’s professional responsibility to ensure that the significance of a literary text is continually renewed over a series of re-readings and re-appraisals. And there’s no reason why this same professional – perhaps even political – responsibility shouldn’t or couldn’t be brought to bear upon the study of popular fiction and film too. The problem, however, and as we have seen, is that the understanding of popular film as generic necessarily presumes popular film’s lack of aesthetic significance on account of its supposedly formulaic nature, and this presumption radically limits the chances of popular texts being subject to the same processes of re-reading and re-appraisal that might be applied to ‘serious’ literature. An approach to popular film that considers its first task to be the establishing of a text’s genre, therefore, risks dispelling or denying a text’s specificity in the name of demonstrating how that text says very similar things to any number of other texts. But the ‘solution’ to the problem does not lie in the abandonment of genre, since questions of genre unavoidably pervade our engagements with popular fiction. If we can see that there is no genre which a text might be said to belong to, it remains the case nonetheless that there is no text outside genre, no text that would be free from all relations to other texts or free from any participation in the processes of identifying generic traits. The reading of The Shootist in terms of science fiction’s apparent preoccupation with the technologisation of the world, for example, still presumes certain conceptions about the ‘genre’ of science fiction. Insofar as genre analysis – the reading of a text in terms of the genre in which that text seems most obviously to participate – might offer interesting and innovative readings of texts, such analysis remains useful and important work. But while genre readings have their place, the question of genre need not be the first and most certainly needn’t be the last question to ask of a (popular) text. For to leave it at that would be to ignore a great variety of possible (and productive) engagements with narrative texts, especially those engagements that sought after a text’s potential to offer insight into questions unrelated to the putative concerns of the genre to which that text is thought to belong. Perhaps more disconcerting is the possibility that, on the basis of an assumed priority of genre issues, innovative readings of popular film – readings, for instance, which sought to read beyond genre issues – could well end up being marginalised either as aberrant or simply as perverse, such that a celebratory review of a ‘formulaic’ text, for example, is seen as a sign of the reviewer’s feeble critical faculties. Indeed, if genre is assumed as the natural or normal order of things, then a reading that fails to identify and to foreground the text’s generic traits, and hence its exploration of generic issues, can easily be judged as mistaken, wrong, deviant and, by implication, improper. Certainly it is more often than not in the name of popular film’s supposedly generic nature that such films are dismissed as not worthy of legitimate study. When genre is taken as authoritative, in other words, a reading that goes ‘beyond’ genre risks effectively being outlawed, as does an attempt to undertake serious, affirmative readings of popular films. Yet when all’s said and done, what is really wrong with reading Star Trek as a Western, especially if it enables us to explore, say, a new set of issues regarding the processes and effects of civilisation (as democracy)? And it is perhaps in the name precisely of democracy, in the name of allowing differences to freely exist, that such a reading of Star Trek, beyond the concerns of the science fiction genre, could be pursued (6). In this respect even the journalistic work of film reviewing might yet benefit from reconsidering the very idea of genre, since an appeal to genre (as formula) in the review of ‘Hollywood’ films can lead to a sort of professional double-bind whilst also reproducing a potentially anti-democratic sentiment. By dismissing a vast array of popular films as so many Hollywood cliches, that is, one risks not only devaluing the experiences of pleasure many people take from such films (turning the enjoyment of ‘commercial’ films into a ‘guilty pleasure,’ which one ought properly to feel embarrassed about) but also reproducing the ultimate critical cliche – that such and such a film is “so formulaic”! Still, that’s not to suggest that reading beyond genre produces completely original observations. As much as a text’s ‘originality’ is relative to the extent that it must always be determined on the basis of a presumed comparative study, so too are readings or reviews never essentially unique but only ever relatively so. The implication of this, however, is that at the very least there is always more than one way to read a popular narrative: the potential meanings of a text cannot be limited by, nor even decided by, an appeal to a prior conception of genre as the source of a text’s significance. And so it remains possible (although perhaps not entirely fair) to read Unforgiven as yet another example of the Western genre’s stereotypical portrayal of masculine heroes and prostituted women and of its glorification of violence and bloodshed as the best means for settling conflict. Conversely, those same elements of the narrative might be approached in terms of their ‘ironic’ inversion of the conventions of the genre: thus Unforgiven might be read instead as a critique of the genre’s romantic indifference to the brutal realities of its masculinist, colonialist ‘code of the West,’ and especially as a demonstration of the lawlessness and violence that always sustains the law. Central to this reading is the figure of Little Bill, the sheriff of Big Whiskey. For Little Bill’s judgements throughout the film are unaccountable to any other authority, and they are made with flagrant disregard to anything remotely resembling due process (early in the story Little Bill decides to skip the “fuss” of a trial). The punishments for various crimes never take the restrained form of a jail sentence, moreover, but are only ever meted out in the physical manner of a savage bashing conducted personally by Little Bill. The law as depicted by Unforgiven, therefore, is brutal, arbitrary and ultimately lawless, and the only thing that can come to the aid of those downtrodden by the law is the violent character of an outlaw whose ruthlessness and destructiveness exceeds even the law’s. Still another reading, however, might find in Unforgiven (as its title suggests) a sustained reflection on the nature and possibility of forgiveness (7). No one in the film is ever able to be forgiven, and the contrasting desires for forgiveness and for revenge equally drive the entire narrative. Despite having realised “the error of his former ways” as a “whisky-drinking, son-of-a-bitchin’, cold-blooded assassin,” and despite having reformed himself, William Munny’s reputation always precedes him. If his “unforgivable” past can ever be forgiven, it’s only insofar as he comes to seek retribution for some other “unforgivable” act. The story starts when two cowboys “cut up a whore” for “giv[ing] a giggle” when she saw one of them “had a teensy little pecker.” When the brothel’s Madame is not satisfied with Little Bill’s relatively moderate (and misogynistic) punishment – a fine of seven horses, payable to the saloon proprietor – she posts a bounty for anyone who kills the two culprits. Each act of revenge that follows is more brutal than the last, with Little Bill punishing Munny’s reluctant partner, Ned Logan (Morgan Freeman), by beating him to death for his involvement in the cowboys’ assassination, and with Munny finally killing Little Bill and five others, including the saloon proprietor, for showcasing Ned’s bloodied corpse as a warning to would-be assassins. Every fatal gunshot is thus triggered by an inability to forgive. That’s not to say that the film affirms forgiveness as the answer to lawlessness, however, since the desire for revenge seems only really to begin when the law proves all too forgiving of the cowboys’ crime. But if the very act of forgiveness is in a sense unforgivable, what hope then for the end of bloodshed and violence? In the world of Unforgiven and beyond, therefore, the unforgivable can be forgiven only insofar as something remains unforgiven, and so forgiveness as such remains impossible. If we might think that this notion of forgiveness pertains to the world of the film and beyond, though, this is because ultimately the point of analysing a text is often (albeit not always) to consider what the text might have to say about the world. And that’s one of the reasons why, professionally at least, we look for some sort of significance to the text, regardless of whether such significance has been authorised by the text’s writers, directors or producers. Insofar as a concept of genre enables meanings to be identified in (or perhaps attributed to) fictional texts, it remains a useful tool of analysis. But that doesn’t change the fact that genre is ultimately an idea of convenience, and not always a reliable one at that. Insofar as genre might, along with other ideas about what supposedly defines a film’s identity, be invested with such unquestionable privilege and authority as to close off the meaning-potential of a text, moreover, the study of popular fiction and film can only benefit from an attempt to think against the notion of genre. Reading beyond genre thus marks just one way to pursue a serious and passionate engagement with film – popular or otherwise. Aristotle. Aristotle’s Art of Poetry: A Greek View of Poetry and Drama, intr. and ed. W. Hamilton Fyfe. Oxford: Clarendon, 1940. Cawelti, John G. Adventure, Mystery, and Romance: Formula Stories as Art and Popular Culture. Chicago and London: The University of Chicago Press, 1976. Juddery, Mark. “In Space, No One Can Hear You Scream,” The Weekend Australian Review, 24-25 (August 2002), pp.4-6. Krapp, Peter. “Unforgiven,” plenary lecture, Deconstruction Reading Politics. Staffordshire University, 20-24 July, 1999 (unpublished). Lucy, Niall. “Total Eclipse of the Heart: Thinking through Technology,” Senses of Cinema 7, June 2000. Wilson, Simon. British Art: From Holbein to the Present Day. London: The Tate Gallery & The Bodley Head, 1979. Zenner, M. C. “What Are They Writing About?,” Senses of Cinema 8 (July-August 2000), n.p..
Much has been made of Unforgiven‘s ‘anti-violence’ stance, and reviews of the film at the time of its release regularly described it as “a revisionist Western . . . a Western to end all Westerns” (Maclean’s, 17 Aug 1992), as “question[ing] the rules of a macho genre” (Time, 10 Aug 1992), and as “turn[ing] the Western tradition on its head” (Rolling Stone, 20 Aug 1992). See for instance Northrop Frye’s Anatomy of Criticism (1957), which uses Aristotle’s Poetics as a basis for formulating the generic categories of epic, lyric, drama and prose (or fiction) and the broader narrative categories of romance, tragedy, comedy and irony (or satire). Interestingly, this shift in the usage of ‘genre’ is not unique to criticisms of popular fiction, but can be seen as a kind of repetition of a similar shift in art criticism, where a style of painting classified as ‘genre’ is regularly derided for “its relentless triviality of subject matter and its general visual dullness” (Wilson 1979, p.96). The ‘critical’ assumption that ‘genre’ films are both trivial and dull, in other words, can’t be passed off as the result merely of a few literary or film critics’ careless conjecturing, but seems rather to be inextricable from the very ideas about culture that have been established over the course of centuries of thinking about the nature of art. It is probably not incidental to this dismissive attitude, moreover, that British genre painting was “immensely popular” during its time. When asked about what makes the critically acclaimed TV series Farscape science fiction, original producer Matt Carroll said, “it’s science fiction because it’s set in space. . . . It’s just not set on Earth. It’s as simple as that” (cited in Juddery 2002, p.5). Once the sci-fi Western is admitted as a “genre,” moreover, all number of ‘instances’ of that genre are able to be recognised. In addition to those films already discussed, there is Westworld (Michael Crichton, 1973), starring Yul Brynner and depicting a future society, which establishes a ‘Wild West’ theme park populated by android cowboys, who eventually turn on their makers. Obviously, it is the authority not only of the concept of genre which might be responsible for the delegitimation of – and even hostility towards – readings of films which travel alternative paths to the ‘commonsensical’ ones. For an example of the sort of indignation that alternative or speculative approaches to film can arouse, see M.C. Zenner’s ‘critique’ of academic criticism’s use of film for purposes other than illustrating a film’s theme in the way that the director ‘wanted’ that theme to be identified (2000, n.p.). That is how Peter Krapp has suggested the film might be read in his paper, “Unforgiven,” presented at the Deconstruction Reading Politics conference held at Staffordshire University in 1999.